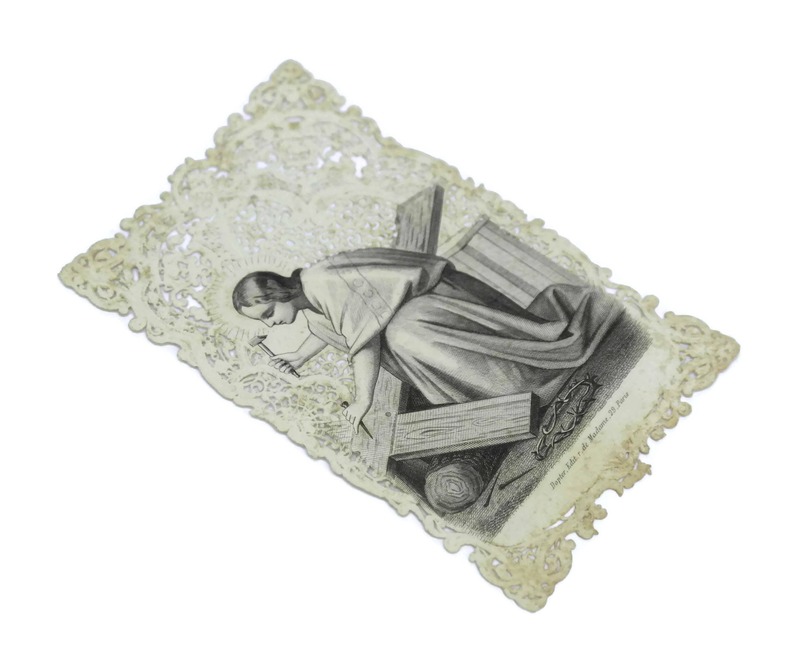 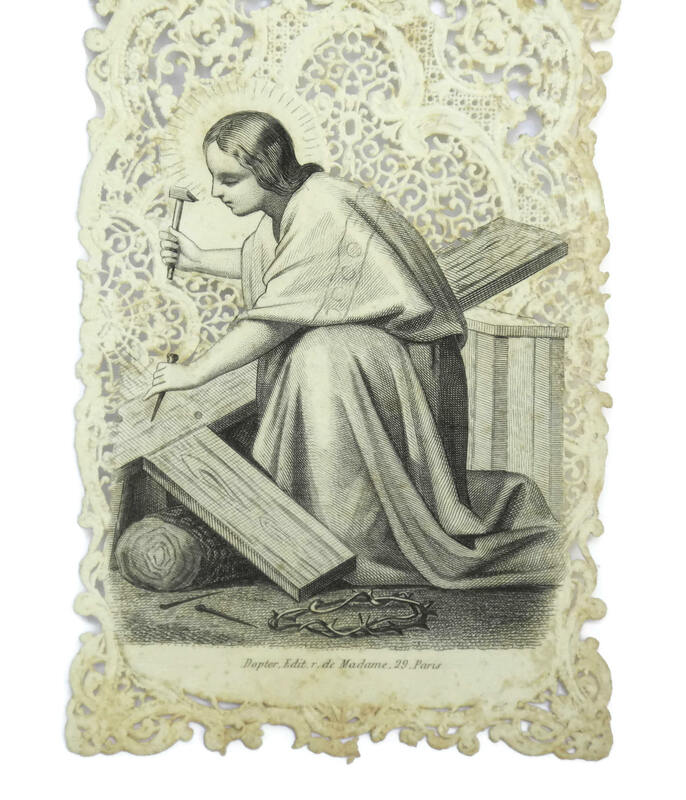 Antique Paper Lace Card with Jesus The Carpenter Building His Cross. 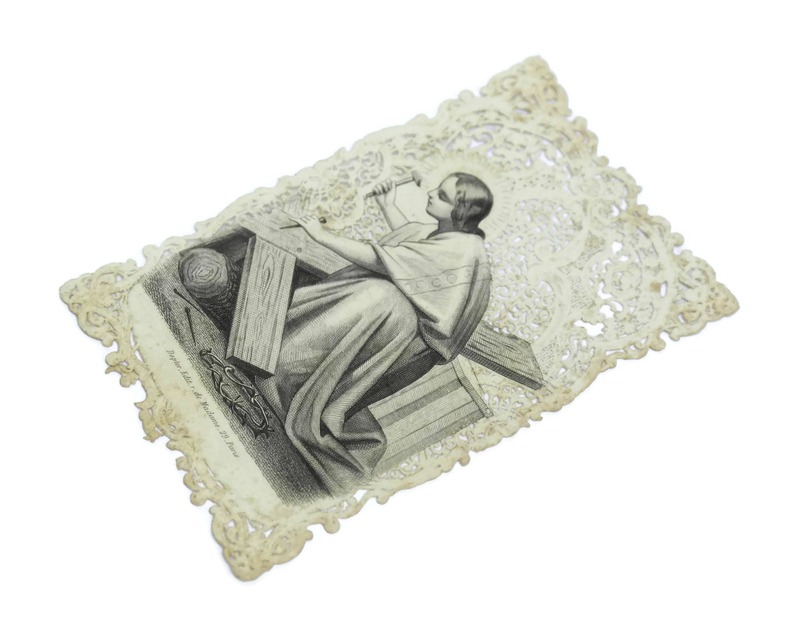 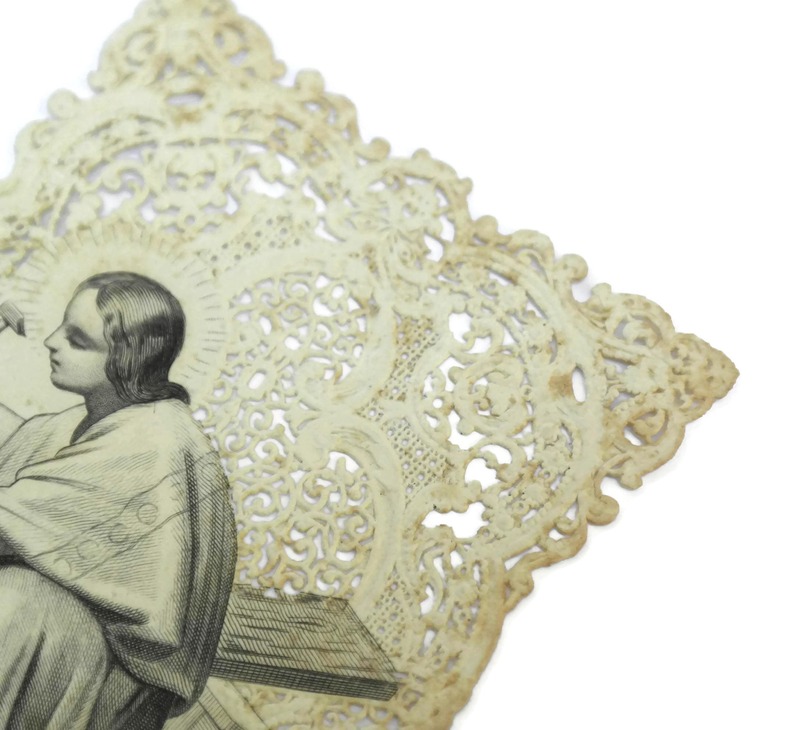 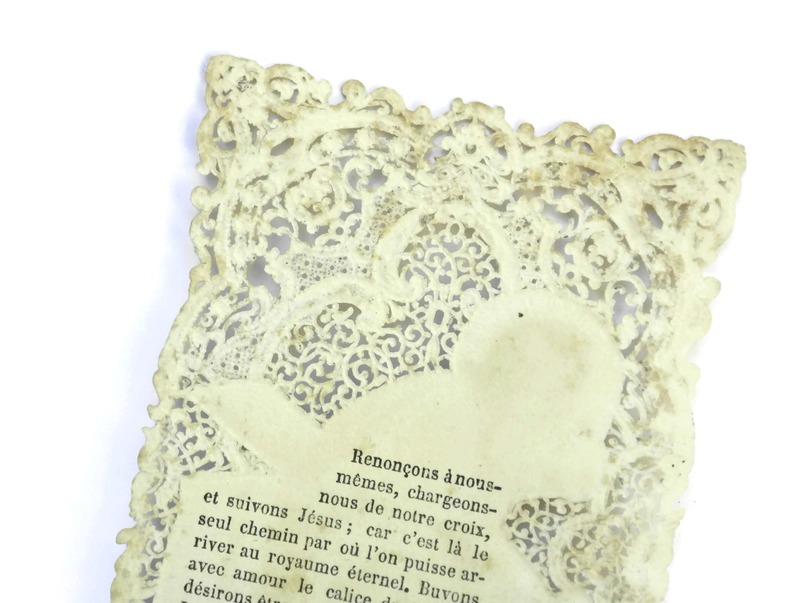 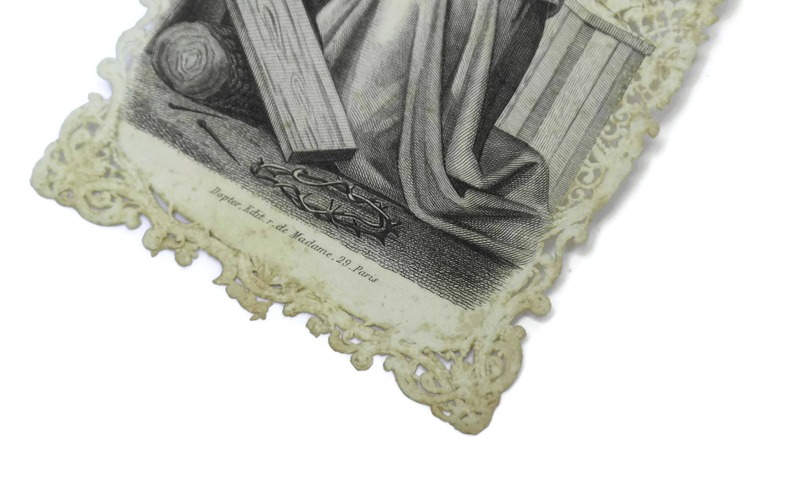 A charming antique French Cavinet holy card dating to the late 1800s. 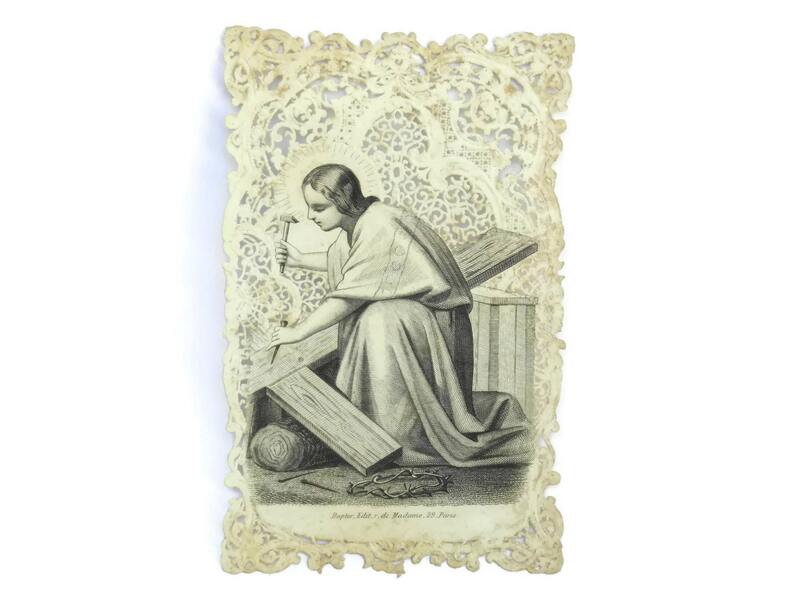 It features a printed illustration of Jesus building his wooden cross. 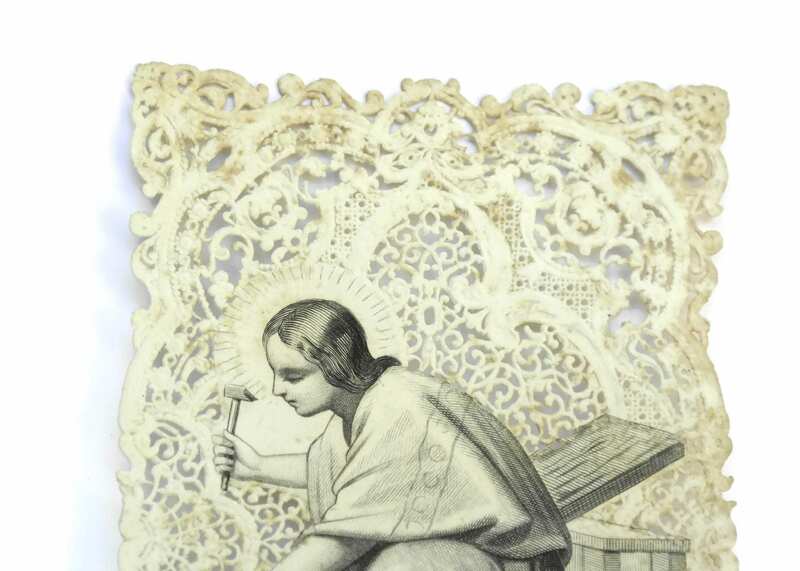 The image has been printed on card with an exquisite die-cut lace border with ornate details. 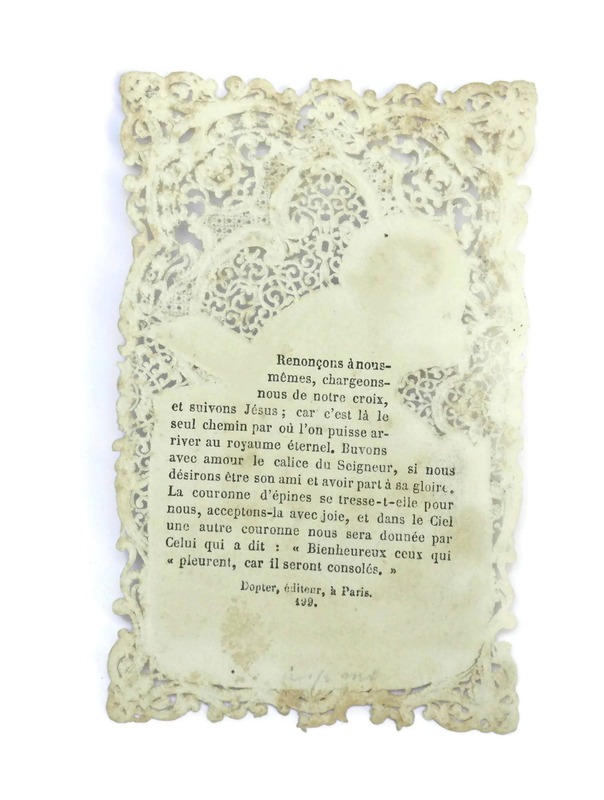 The reverse side has been printed with a traditional French catholic prayer. 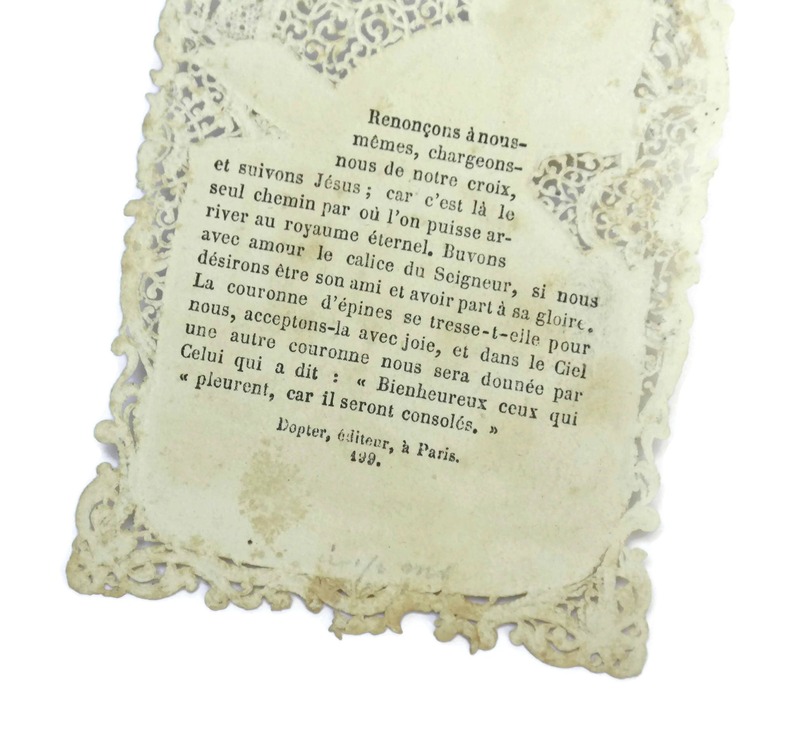 The antique Cavinet card is in very good condition with signs of age including light marks to the surface.